Ghana’s castles, forts and lodges date back to the fifteenth century. Between 1482 and 1786, Europeans constructed approximately 80 castles, forts and lodges stretching along the 400-mile coastline between Keta and Beyin, formerly and notoriously known as the “Coast of Guinea” and “White Man’s Grave”. For several centuries, Portuguese, Dutch, French, Swedes, Brandenburg-Prussians, Danes and English and Africans lived and worked at these sites. 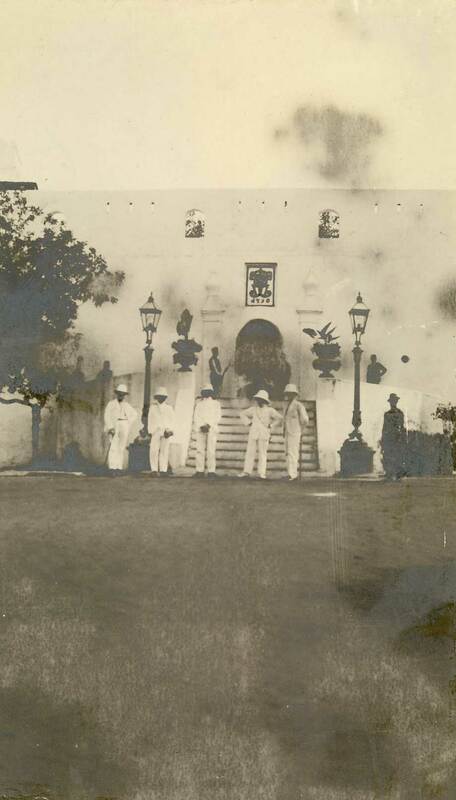 Christiansborg Castle in Osu, Accra, played a pivotal role, strategically situated at the intersection of important inland and transatlantic trade routes. Christiansborg Castle was built by the Swedes in 1652, as a lodge used mostly for the storage of goods. In 1661, the Danes purchased the land beneath the lodge from the Ga Paramount Chief Okaikoi for the sum 3,200 gold florins. They built a fair sized stone fort and named it Fort Christiansborg or Christian’s Fortress, after the King of Denmark, Christian IV. Over time, it was enlarged and converted from a fort into a castle so as to provide more storage and living space, as well as meeting the need for stronger defenses to compete with the Dutch and English coastal trade. In 1685, Christiansborg Castle became the new Danish headquarters. Between 1694 and 1803, guns, ammunition, liquor, cloth, iron tools, brass objects and glass beads were exchanged for gold and ivory, as well as enslaved Africans who were transported to the Danish West Indies, comprising St. Croix, St. John and St. Thomas islands. 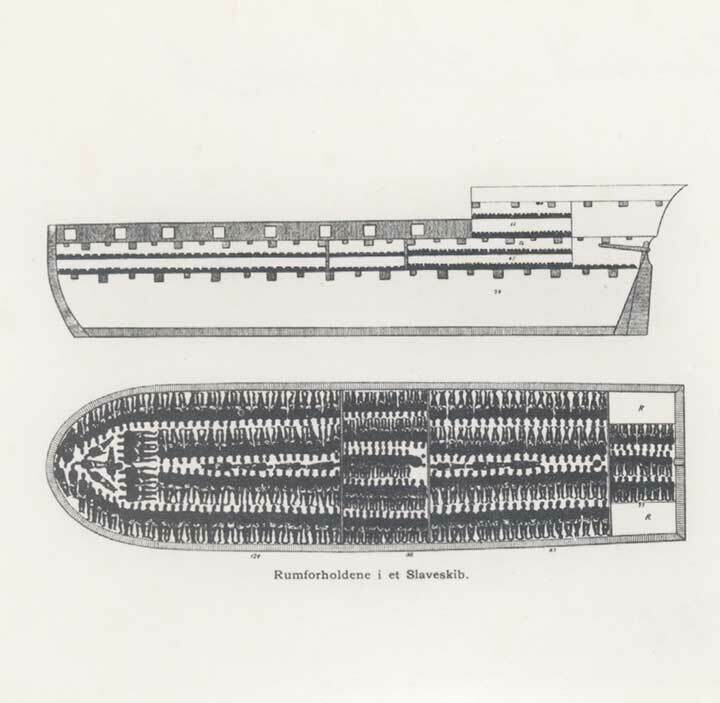 The Danish transatlantic slave trade transported approximately 100,000 enslaved Africans. Christiansborg Castle was so vital to Denmark’s economy that from 1688 until 1747, Danish ducats and double-ducats bore a view of the castle and the word ‘Christiansborg’. Christiansborg Castle along with nine other forts and lodges enabled Denmark to acquire a near monopoly of the trade on the west coast. Apart from a few brief periods, the site remained occupied by the Danish. Between 1660 and 1661, it was Dutch occupied. Between 1679 and 1683, it was sold and occupied by the Portuguese (renamed Fort Sao Francis Xavier), and between 1685 and 1689 it was remortgaged to the British. In 1693, Asameni, a powerful Akwamu trader and his men disguised as merchants who wished to purchase guns and ammunitions, entered the castle and through subterfuge, gained possession of Christiansborg Castle. Asameni assumed the title of Governor and donned a Danish officer’s official uniform, until the site was returned to the Danes in 1694. However, the keys of the Castle were never returned and to this day continue to be part of Akwamu stool property. 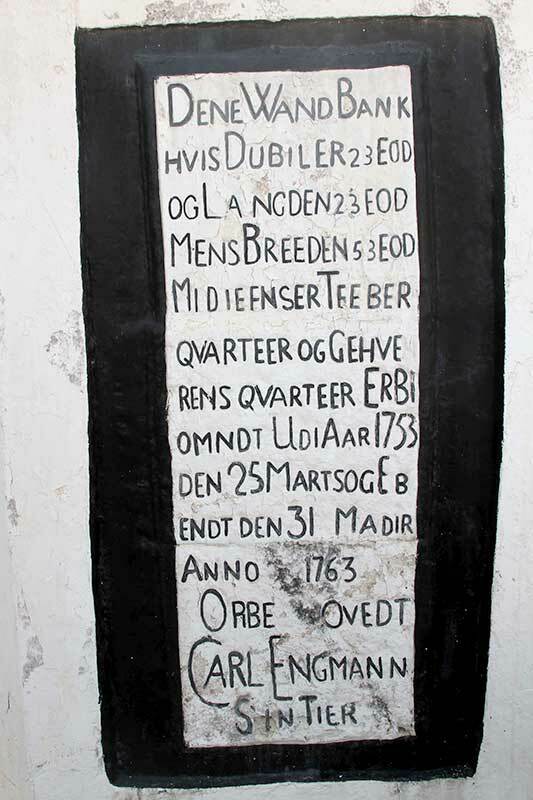 The Danish Edict of 16th March 1792 officially marked the end of the Danish transatlantic slave trade, though it was not enforced until 1803. However, this ten-year period of ‘adjustment’ meant that the Danes claimed to be the first nation to abolish the transatlantic slave trade. With Denmark’s loss of Norway to Sweden from 1814 onwards, the country faced unprecedented financial difficulties, yet was reluctant to give up its territories. However, in 1850, Denmark sold Christiansborg Castle to the British for £10,000 (as well as forts Augustaborg, Fredensborg, Kongensten, Prinsensten and Prøvesten, and the plantations in the Akuapem Mountains). Prior to the Christiansborg Archaeological Heritage Project, no archaeological research has been conducted. For the reason, Christiansborg Castle’s continued occupation as Ghana’s seat of government, and the fact that some government employees continue to work there. However, in 1960, the Public Works Department was engaged upon the reconstruction of the Cabinet Secretariat building and discovered English clay and local smoking pipes, a small decorated gold-dust pot, an elaborate silver horn ornament, State swords, a groundnut, European knives, local and European bead necklaces. These findings are currently housed in the National Museum.